The whole year has led up to this one weekend. You get to take one extended hunting trip and it’s always something you look forward to and plan extensively. It takes a lot of prep to go out in the woods for days, but the trip always helps you feel refreshed and recharged. It has all led you to this one moment you’re in right now, staring at a huge buck among the trees. What should be the peak experience of your trip is being hampered by, of all things, your tooth. It feels like there’s a rough spot on it, and there is a dull ache. You wonder if you’re developing a cavity, but you’re not sure. Drs. Bob and Heather Heil, each a dentist in Kaukauna, WI, want you to know some key things about cavities. These are all signs that the plaque has broken down the enamel. It will continue to eat away at your tooth if it isn’t treated promptly. How Can I Prevent/Treat Cavities? The best way to prevent cavities is to stop them before they start, and this can be done with brushing and flossing. They eliminate the excess sugar left on your teeth, as well as break up the plaque that has already formed. It is generally recommended that you brush at least twice a day, once in the morning and one at night. You should also come see your family dentist in Kaukauna, WI at least twice a year for a professional cleaning, because brushing and flossing are not able to clean all of the plaque off of your teeth. If you are already showing signs of a cavity, please come visit us at Dental Expressions. We may suggest a variety of treatments depending on the severity of your cavity. A filling or a crown would help replace the structure of your tooth that has been broken down by decay. A filling using a composite resin to reinforce your tooth, while a crown is a restoration that simply fits over the top of your remaining tooth. Cavities that have reached the nerve of the tooth may require a root canal. 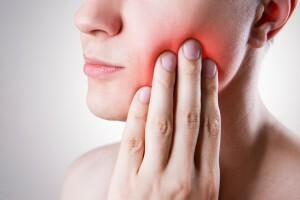 Once considered the Boogey Man of dentistry, root canals are now a typical procedure than our team performs regularly. We take special care so we know you will not feel any discomfort during the procedure. Cavities are very common and easily treatable, especially when caught early. If you think you are showing signs of a cavity, please some see us so we can take care of you today.